You guys, it’s almost one of the most wonderful days of the year… Daylight Savings Time begins this weekend! I know there are lots of people who despise this time change because we “lose” an hour, it’s dark in the early morning, and for those of us who have kids, sleep schedules are disrupted. For me, these are simply minor annoyances. I love DST with all of my being. Winter itself is a major drag for me (I’ve deal with SAD on and off for my entire adult life), and the whole getting dark at 4 PM thing is a huge part of that. I genuinely feel reborn and refreshed once the day gets longer and the sun returns. 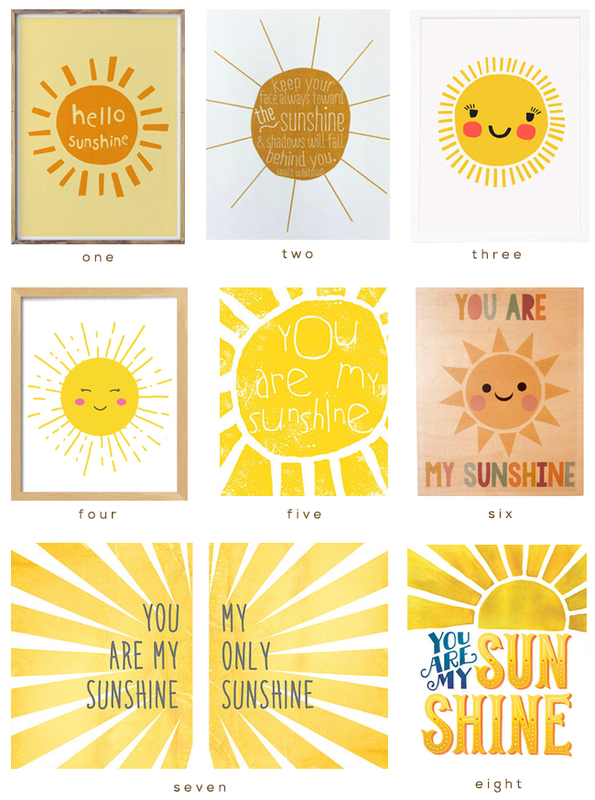 So in honor of Daylight Savings, I’m sharing a few adorable sun inspired prints (several of which are instant downloads) I came across on Etsy. Just looking at them makes me feel cheery, man. Here’s to longer (feeling) days!